Leading international vacation ownership company Diamond Resorts has announced a sponsorship agreement with country music singer and songwriter Lee Ann Womack. Womack, whose single “I Hope You Dance,” reached No. 1 on the Billboard Country Chart and Top 15 of the Billboard Hot 100, performed her first show for Diamond Resorts on16 April 2018 at Oceanaire Resort in Virginia Beach, Virginia. Invited Diamond Resorts members had an exclusive opportunity to meet the star and then enjoy a private, acoustic performance to hear new music from her latest album, ‘The Lonely, The Lonesome & The Gone’. 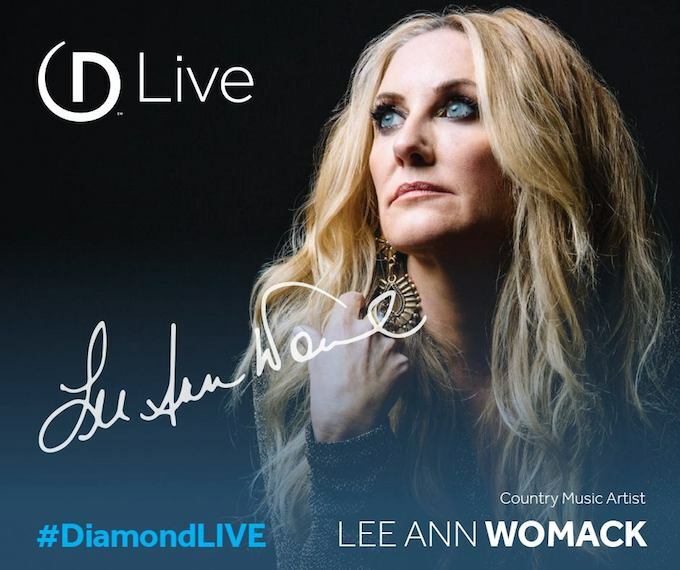 Mike Flaskey, chief executive officer of Diamond Resorts, said: “We are excited to have Lee Ann join our Diamond Resorts family, and can’t wait for her to perform for our members as part of our Diamond Live concert series. Womack will perform additional shows for Diamond Resorts members throughout the year as part of Diamond Live. Unique and exclusive to Diamond, the concert series is part of Diamond’s Events of a Lifetime experiential vacation programme, which featured more than 3,000 special events in 2017. The 2018 Diamond Live schedule is expected to include more than 100 live event experiences – nearly double the amount held in 2017. In addition to Womack, the 2018 line-up includes multiple performances by numerous music artists, including Lee Brice, Colt Ford and Jana Kramer, along with live cooking and comedy events. Womack will represent Diamond alongside a roster of high-profile celebrities, including Brice, Kramer and Ford, along with baseball Hall of Famers Reggie Jackson and Gaylord Perry, and LPGA professional Brittany Lincicome. To learn more about Diamond Resorts and the Diamond Live series, visit DiamondResorts.com.